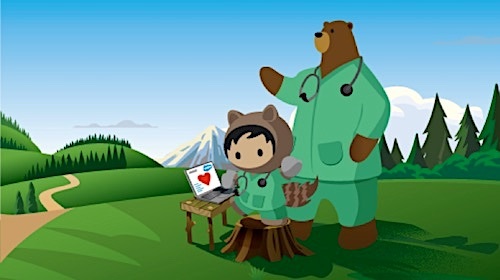 For more than a decade, the healthcare industry has been focused on taking the first step toward digital transformation. For healthcare providers, this involves transitioning from paper-based to electronic health records (EHRs). As I’m sure many of my healthcare colleagues would agree, the transition to EHR hasn’t been easy. Over the years, we’ve had to reallocate time, people, and budget toward implementing and learning new digital systems and workflows. Between the federal government and the healthcare industry, we’ve spent billions of dollars bringing EHR to fruition. While widespread adoption of EHR is a solid first step, we still have work to do before we reach our end goal of creating a fully connected healthcare system. Here’s what I see as the crucial next step on our collective journey towards digital healthcare transformation. With the majority of hospitals and physicians now online with EHR systems, it’s time to go from investment to impact. It’s time for us to build upon EHR systems by implementing a customer relationship management (CRM) platform specifically designed to enhance the patient journey. First of all, when we say ‘patient journey,’ we mean from the moment a patient takes to the web to search for information and look for a provider; through to booking an appointment with a physician; to being diagnosed; to receiving follow-up care; to the patient proactively managing their own care while remaining engaged via the web or through a mobile device with their care team. A CRM platform enables organizations to create cohesive experiences before, during, and after appointments, admissions, and procedures, and ultimately build stronger relationships with patients, providers, caregivers, and the entire healthcare ecosystem. And what do we mean by engagement, exactly? Create the experiences patients want. Connect touch points from the moment patients start browsing a website looking for a provider, to scheduling an appointment, to receiving an appointment reminder and tailored wellness tips via an app. Deliver great service in the patient access center. Support patients on their preferred channel, whether it’s by phone, chat, text, mobile app, or website. Proactively surface insights and recommend preventative services, like wellness programs, that improve patient health and reduce costs. Personalize patient follow-up. Care teams have the ability to track the patient’s care longitudinally with clinical and non-clinical information (e.g. social determinants) and share educational materials to make sure the patient is adhering to his/her care plan. The benefit for patients? 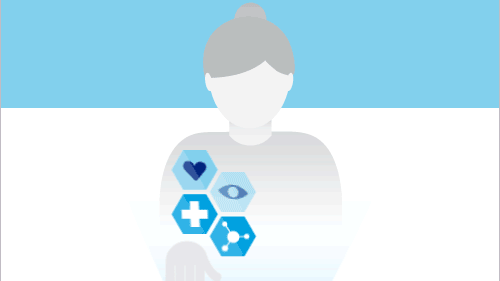 Personalized care, improved communication, and access to care when they want it (e.g. telemedicine). For healthcare organizations and practitioners? Secure and instant access to a complete view of health records, improved communication and greater collaboration across care teams, reduced costs and increased patient loyalty — all with the end goal of delivering high-quality care. Further, by unifying EHR systems with a CRM engagement platform, healthcare professionals can harness data and use artificial intelligence — along with predictive and prescriptive analytics — to anticipate issues and determine the best course of action. To realize the vision for connected healthcare, we must continue to invest in the right technologies for tomorrow. That includes integrating EHR systems with a CRM platform designed to enable superior patient experiences. We’ll get one step closer to a more efficient healthcare system that places the patients at the center and empowers healthcare professionals to positively impact and achieve the best possible outcomes for patients.